I've become quite fond of this sweet family over the past few months. They are easy going and fun to be around and their love for one another can't help but make you feel happy. We were all excited for this Spring session... When I arrived to meet the family at one of their favorite parks Amanda informed me that little Liam had gotten sick. Yep, right when they pulled in the parking lot! 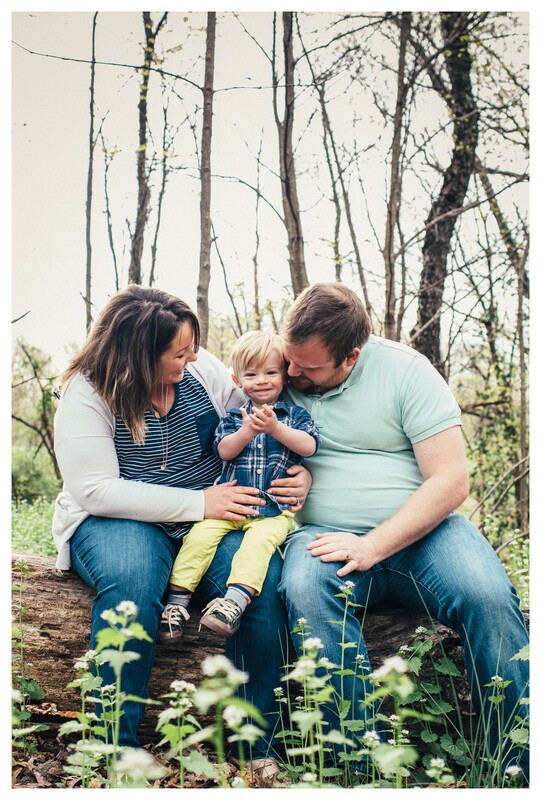 I know, that's not the best way to start a family photo session! Liam pulled through, though, and was a little trooper. Despite not feeling well, he was still so happy and full of personality and we all had a great time. The next day I found out that poor Liam had to be taken to the hospital because of an infection... Poor guy! So, looking back on these pictures will definitely bring back some memories for this family! Again, this family is so easy going you would never know that their little guy wasn't feeling well. Amanda actually shared with me that "Liam's ability to adapt to a constantly changing new normal over the past several weeks has been humbling. 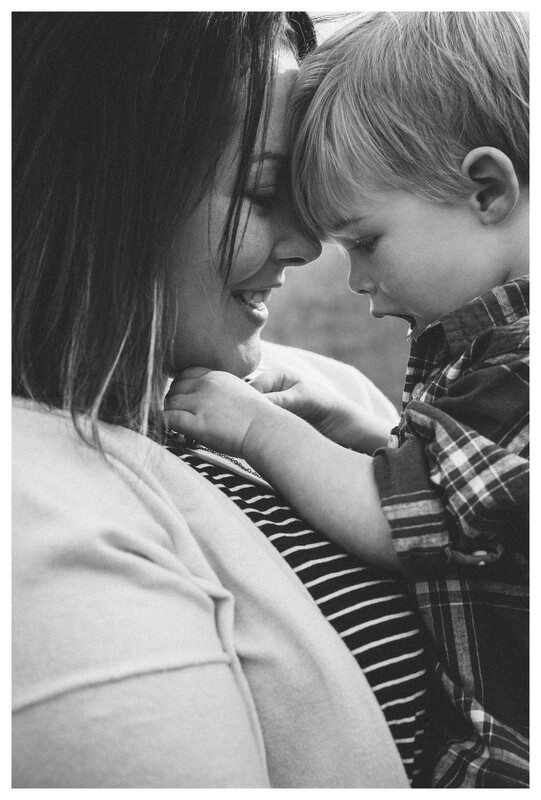 Despite all he's going through, I love when he takes a minute (at what seems like the most perfect time) to look at me or my husband in the eye, tilt his forehead to ours, and wrap his arounds around us telling us it's going to be okay." "I love playing in the front yard with my family. We love seeing Liam discover new things, his coordination improve with shooting a basketball, his wonder for things that fly and float above him, his comfort with rolling in the grass and always making sure we're not too far away. " I love that this family doesn't take the "everyday" for granted and that they recognize all the meaningful details that will one day be special memories. They soak up every moment they can with their little guy, and it's obvious they love every bit of it. Interested in capturing special moments and memories of your own family? Learn more about the sessions that are offered at the link below!